The Federal Road Safety Commission Mobile Court at Kakau Unit of the Kaduna Sector Command on Friday convicted 29 motorists for various traffic offences and discharged six others. The sector’s Legal Officer, Mr Fawzy Garba, who made this known in an interview with News Agency of Nigeria in Kaduna, said a total of 35 motorists were arrested. Garba recalled that FRSC Corps Marshal, Boboye Oyeyemi, had inaugurated a nationwide special Sallah patrol in the state on Thursday with a view to enforcing traffic regulations. NAN recalls that the commission had set up 144 mobile courts across the country to monitor and prosecute motorists who violate traffic regulations during the Eid el-Fitr celebration. Garba said among the 29 convicted, 13 were convicted for driving licence violation, eight for number plate offences, six for overloading and eight for seat belt violation. He added that the patrol would focus on traffic violations, overloading, driving under the influence of drug and alcohol and using of telephone while driving, among others. “The measure is to ensure that drivers comply with all traffic rules and regulations throughout the Sallah celebrations and keep Nigerian roads safe. 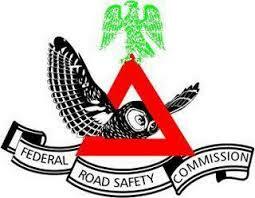 “FRSC will not relent in its efforts to change the driving culture of road users in the country,” he said.